Tofino’s Inaugural Poet Laureate ; Joanna Streetly. Joanna Streetly has been named as Tofino Poet Laureate 2018. The announcement was made on April 30th during a Committee of the Whole meeting. 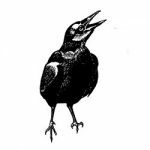 The position is an initiative of the Clayoquot Writers Group, first proposed to council in April of 2017, during National Poetry Month and later enacted by a multi-partner working group. It was spearheaded by Janice Lore and subsequently by David Floody. Well-known poet Christine Lowther represented the selection committee and introduced the inaugural poet laureate. Lowther explained how the program came about and praised the many instances of volunteer effort that caused it to reach this point. Other nearby communities with poet laureate positions include Courtenay, Nanaimo, Vancouver and Victoria. Streetly is interested in working with the community and in the school, delving into past and present issues. 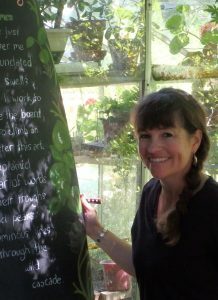 She is the published author of four books, including a volume of poetry entitled This Dark, as well as the newly published non-fiction BC Bestseller Wild Fierce Life: Dangerous Moments on the Outer Coast, each chapter of which commences with a haiku. Streetly’s current book has been praised in the Vancouver Sun as “elegantly written” with “gorgeous prose . . . that captures life on the outer coast in a way that few recent titles have managed.” She is also known for regular performances of poetry with groups such as The Diversity Project and Performance Anxiety.